I love retro-future videos so when the Simpsons gave us one I had to share it! Watch the clip above. I still can't wait for the day when the machine is developed that will wash me, shave me, do my hair, and dress me in the morning. BTW: Where is my flying car? 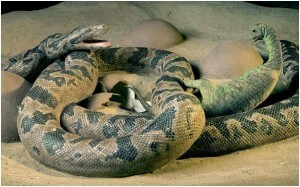 Snake eats alligator move over for we have found a fossilized proof of a snake eating a dinosaur. At first I thought it was like something out of a 50’s B movie. Unfortunately or fortunately depending on your perspective it turns out that the snake was 11.5 foot long and the dinosaur was a new born 1.6 foot long. The pill is based on immitating [sic] the effects of three super-genes that make people 20 times more likely to live to be 100 and 80 percent less likely to develop Alzheimer’s or other similar diseases. The new pill is expected to be ready for testing within three years. This would be awesome! Not only give a nice extension on ones lifespan but to reduce the chances of Alzheimer’s or other similar diseases. 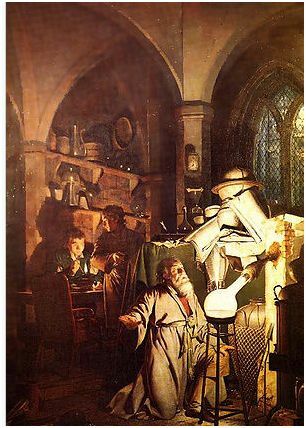 Possibly, The quest for the philosopher's stone goes back for millennium and shows up in speculative fiction in many forms. My first reaction to this is to sigh and think ‘ah, another snake oil salesman.’ What is fun with this pill concept is that they gave it some credibility by tying it to the longevity effects of genes. There is ongoing research into human longevity. Most of the successful results are tied to tweaking the subjects (mostly worms) genes. A while back I watched a fascinating news piece on the longevity research and it’s results. They were successful in extending even doubling the life span but there was a catch. It doubled all of the lifespan which means twice as long as an infant, puberty twice as long, and the declining years taking twice as long. Would this extension and payoff for the extension of life really be any increase in the quality of life? The ethical questions raised were fascinating. If one could live longer what quality of life would they get for it? Would you be willing to take a pill to extend your life to 100 years? Would you still be willing to take a pill if it had to be taken on a regular basis? Life can be stranger then fiction sometimes and Mr. Tianzhuan knows better then most. He had dark brown hard shells growing all over himself that looked like coral. 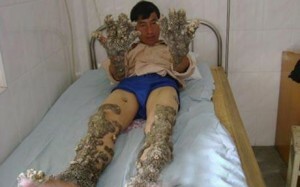 At the age of 13 he noticed some growths on his feet and hands. These spread and got worse covering his arms, legs, back and head. Like a slow real life version of petrification. Thankfully the hospital was able to reverse the process. After a year of surgery and treatment he has just a few discolored skin patches. I'm glad we have Sanctuary to help the public to grow. Treat people with rare conditions with dignity celebrating their diversity and getting help if it's a harmful condition. 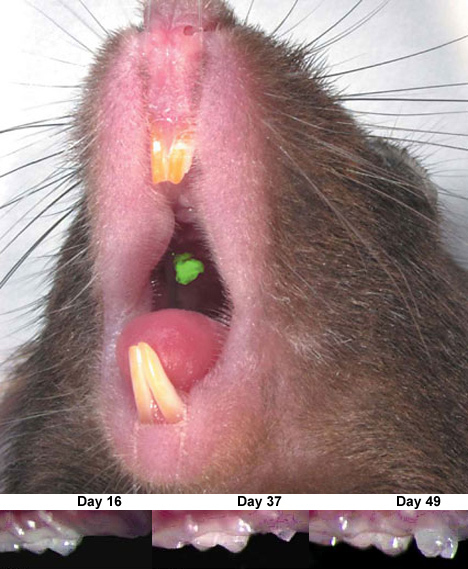 Japanese researchers have grown the first-ever fully functional bioengineered tooth inside the mouth of a mouse (Pink Tentacle). This is a breakthrough that we all need to start paying attention to. If we can teach the body to repair itself, then the future of medicine is a bright and beautiful place. Orion's Shoulder May Have Blown Up! Nearby star Betelgeuse has been noticably shrinking over the past decade indicating that it may by now have gone supernova, at 600 light years distant the explosion would pose no threat but would provide a spectacular fireworks display. Since Betalgeuse is located on Orion's shoulder does this mean that Orion's shoulder blew up! I love the growing robot technology and how it can better everyone's lives. The idea that one day I could crawl into a Mech suit to "run around in" excites me and is one of the things I'm looking forward to in the new G.I. Joe movie. 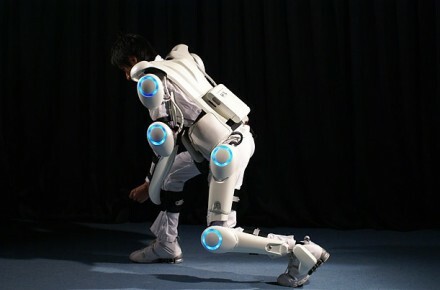 This suit is of no exception it uses sensors attached to the skin of the wearer to operate. I'm not sure if I like their use of all the darker films where the robots turned on the humans and killed them but being an optimist I go to my happy place and think that the ominous warnings given in the films is what was on their minds... besides the suit needs us so if it gained sentience and went crazy it would merely assimilate humans instead of killing us off. Titanoboa was at least 43 feet long, weighed 2,500 pounds (1,140 kg) and its massive body was at least 3 feet (1 meter) wide, they wrote in the journal Nature. It lived 58 million to 60 million years ago, when Earth's animal kingdom was still recovering from the mass extinction that doomed the dinosaurs and many other creatures 65 million years ago when an asteroid hit near the Yucatan coast of Mexico (Reuters via Yahoo!). Above is a picture of three exoplanets orbiting a star in the constellation of Pegasus. In a separate study, scientists were able to image a planet in a stars dust cloud. Paul Kalas of the University of California led a team of fellow scientists using the Hubble Telescope to get past the stars brightness. 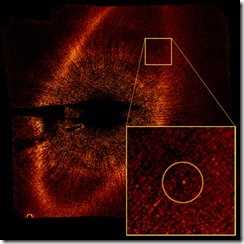 But advances in optics and image processing have allowed astronomers to effectively subtract the bright light from stars, leaving behind light from the planets. 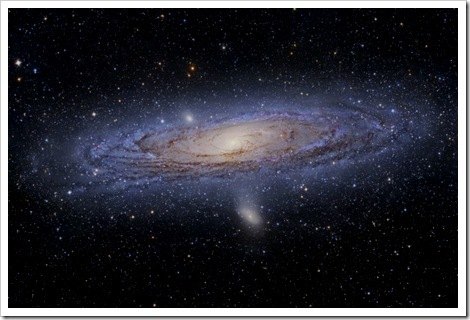 That light can either come in the infrared, caused by the planets' heat, or be reflected starlight (BBC). This is a major advance in optics, and will help us as we continue following our dream to travel to other worlds and one day colonize them. The study of the light directly from the planets will yield information about their atmospheres and surfaces that is impossible to collect from planets discovered indirectly (BBC). Like waves in the ocean, these gravity waves roll through the sky. 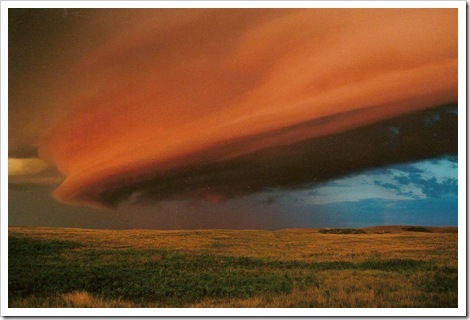 Caused by frontal systems, air flowing over mountains, and other reasons. these waves can travel thousands of miles through atmosphere. What is interesting is that these waves may be a cause of tornadoes. The ability to track these gravity waves could help us predict severe weather outbreaks with more precision. These are beautiful, frightening things. Appleseed: Ex Machina looks really good. I enjoyed the first one, and can't wait to see this one. 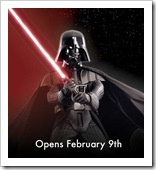 This exhibit will be really cool with props, original costumes, models, vehicles, and art from all six of the movies. What is also interesting is that the American exhibit is looking at it from the perspective of taking the "fantasy tech" and how we are making it real today with in depth looks at robots and speeders- I hope this means that my next vehicle can be a speeder. And the Belgium exhibit is looking at the artistry, story telling and making of epic movies. Hmmmm... well If I would have to choose I would choose both exhibits but to choose only one that would be difficult. Which exhibit excites you more? The one looking at the tech aka robots and speeders or the one looking at art and story. I am always stunned by the beauty of the universe and how incomprehensibly vast. It is like staring into the eye of God. If I saw something like this over my head, I would probably freak out. It just goes to show you how strange and beautiful our world really is. To pay for his education program, Obama would eliminate tax-deductibility of CEO pay by corporations and delay NASA's program to return to the moon and then journey to Mars (USATODAY). This is not the first, and I know it will not be the last time I see a politician who wants to cut NASA funding to pay for some program. NASA is an easy target, because very few people know about the technological benefits we have all received from NASA's exploration of space. The other thing that these politicians never seem to understand, that cutting funding to NASA to pay for Science and Math education may sound interesting in theory. "We're not going to have the engineers and the scientists to continue space exploration if we don't have kids who are able to read, write and compute," Obama said (USATODAY). Without a space program to inspire them, what will fire the kids imagination to make them want to become engineers and scientists? Children need heroes to look up to, to motivate them and inspire them for greatness. In fact, the nation needs something to inspire us all to greatness. Now is the time when I would usually list all of the benefits of Space Exploration, but I think there is only one real point that has to made against this proposal. If we get rid of the science jobs, what is a child to think about their future if they decide to go into science? People cannot aspire to join in a field of study that they cannot see a future in. Give the children a hero, and they will become great. The remarkable fossil bones of a fur-covered, swimming mammal that lived in the age of the dinosaurs 164 million years ago have been discovered in China, raising a wave of excitement among scientists whose timetable for mammalian evolution has just been pushed back by 100 million years (San Francisco Chronicle). It makes you wonder how far back the evolution of mammals began. How many species lived in the time of the dinosaurs, and how many survived? This makes the imagination run wild. A lot of great fossils have been found in China lately. Astronomers have detected a new type of cosmic outburst that they can't yet explain. The event was very close to our galaxy, they said. The eruption might portend an even brighter event to come, a supernova (Space.com). Personally, I like it when we discover new things. It keeps us from thinking to highly of our own intellect. This object is very interesting. The blast seemed a lot like a gamma-ray burst, the most distant and powerful type of explosion known to astronomers. But when scientists first detected it with NASA's Swift satellite on February 18, the explosion was about 25 times closer and lasted 100 times longer than a typical gamma-ray burst (Reuters). Here is the NASA page of the Explosion. Cool pics. Adding to the growing compendium of Kuiper belt objects, astronomers have spotted two new moons orbiting Pluto. Observations with the Hubble Space Telescope from May of last year show two tiny dots revolving around the same center of gravity as the ninth planet and its largest moon, Charon. Reporting the finding today in Nature, the researchers speculate that the tiny companions formed in the same cataclysmic collision that produced Charon (Scientific American). I hope they release pics soon. I would like to see them, even if they are just specs of light.